Updated tax info for 2018. It’s tax time! 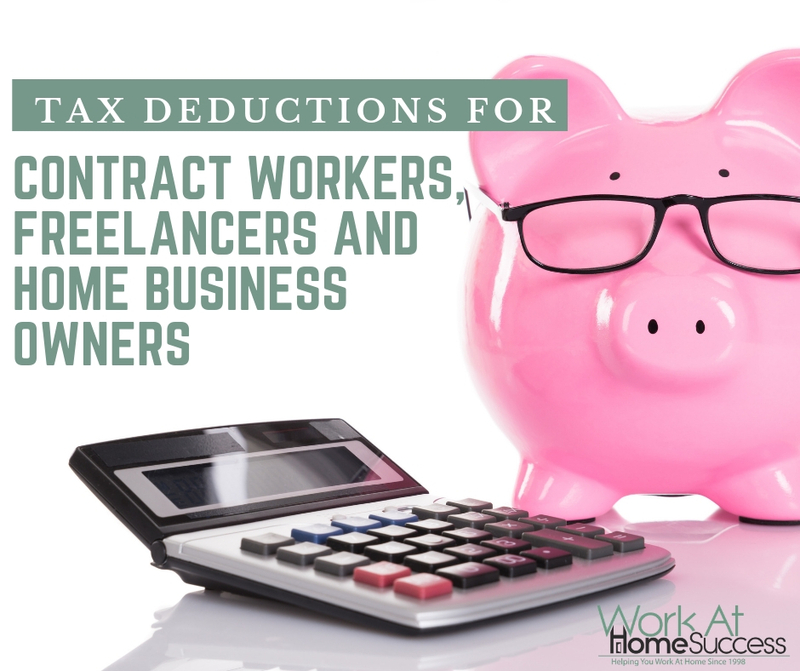 While doing taxes is a hassle, one of the many perks of working at home as a contract worker, freelancer or home business owner are tax deductions. Disclaimer: I’m not a tax expert. This article is provided for general information. For more details visit the IRS online. In 2018, the tax law changed, and for hobby businesses, it’s not the best news. While in the past, hobbies that generated income could deduct their hobby expenses, under the new law, that’s no longer an option. Even worse, you still have to claim any money you made from your hobby, even though you can’t take a deduction on the expenses related to making hobby money. Your only course of action is to treat your income-generating hobby as a business. That doesn’t mean taking the deduction anyway. You need to be able to show that you’re attempting to build a business from your hobby in order to quality for the deductions. Any expense you have that is required as part of running your business could be deductible. If you have more expenses than income, and show a loss in your self-employment work, make sure you have proof of all you’ve done to turn your home-based activities to a career such as your blog, applications, portfolio, and marketing. It will help prove your point if you’ve formally created a business (i.e. with a licence) and/or have a separate business bank account. Note that have a loss for 3 out of the last 5 years, you may not be allowed to claim it. To learn more about business deductions, read the IRS’s page on Deducting Business Expenses. Note: For 2018, Home Office Tax Deduction has changed for employees and is no longer available. Self-employed people can still take the home office deduction; however, as stated, check with a tax professional to make sure you qualify! 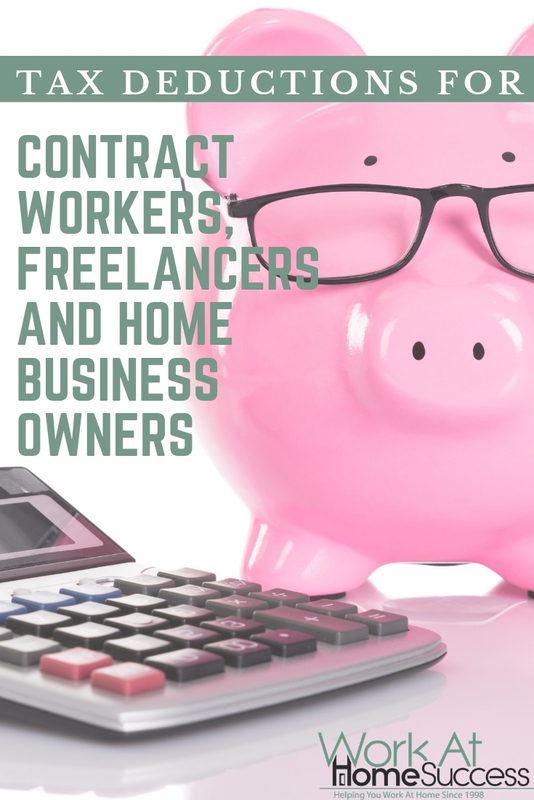 The IRS has rules about whether or not you can take the home office tax deduction for your contract or freelance work, or home business. To qualify, your home office must be used regularly and exclusively for business. Regularly means that you’re in your office on a regular basis, not just on occasion. Exclusive means that you can’t use the area for personal endeavors. If only part of a room is used for your writing business, you can claim that section, but you must measure it and use only that area in your calculations. It’s your principal place of business. That means you can’t have a office elsewhere. You see clients or customer there. It’s a structure detached from the main house. – You store inventory for your business in a part of your home. Starting in 2013, the IRS came out with a simplified home office deduction which is $5 times the square footage of your office. If your office is in a 10 by 8 room, your home office deduction is 180 times $5.00 or $900. This is easier than calculating depreciation and all the other factors in the old method. However, you may want to calculate both methods to see which offers the best deduction. Having a good system for filing your expenses and tracking your income is key to making sure you meet the legal requirements as well as take full advantage of your tax deductions. Tools such as Quicken Home & Business or Quickbooks can be a big help, not just in keeping track of everything, but also, at tax time. I also have folders for each deduction type to keep my receipts, and a system for organizing online income and expenses not just in my financial software, but also in folders. For example, I print out online receipts. If taxes make you nervous, considering hiring help. If you don’t want to hire a regular bookkeeper, you can hire a tax expert to help you at tax time.